TITALIUM is a special aluminum alloy that uniquely combines a high level of strength with lightness just like in the aircraft or automobile industry. 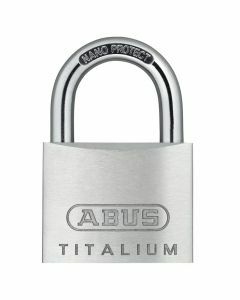 With approximately 30% reduced weight compared to traditional brass padlocks with at least the same level of security, the TITALIUM lock series becomes an attractive alternative. 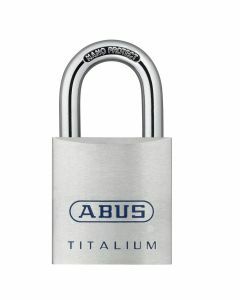 The contemporary material implementation is reflected in the design of the products: TITALIUM series padlocks all feature an impressive stainless steel finish.